Extract BKF Catalog - Missing Catalog Can Be Retrieved! If more than one backup processes are running on a system the consequences you might face would be; backup files are created at the same time but the creation of catalog files couldn't be done successfully. Even if you are successful in creating backup files, at the time of restoring data from the backup files you will find that catalog files are not there, they are missing. But it won't be possible for users to create a catalog file or to extract BKF catalog files manually. But above discussed issue is resolvable with our program which not only allows the user to extract BKF catalog files when they are missing. 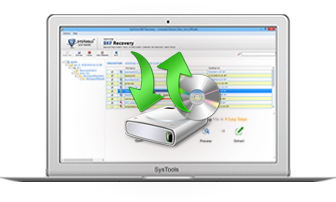 BKF Recovery tool also allows users in accessing the corrupted files that may have got damaged because of the corrupted hard drive, Trojan infection, system failure or software failure. User can download its trial version free, without paying anything.